Russia builds up pro-Assad military presence in Syria while launching new diplomatic offensive. Why is Putin Suddenly so interested in the Middle East? Russian President Vladimir Putin on April 24, 2015 in Yerevan, Armenia. A few weeks ago, I noted that with Russia’s economy sagging under the weight of both international sanctions and low oil prices, and the situation in Ukraine mired in stalemate, Vladimir Putin’s government was badly in need of a new foreign crisis in which the president could demonstrate decisive leadership. As it turns out, that crisis has been found not in the Baltics or the Arctic but in Syria, where Russia, in recent weeks, has launched both a military build-up and a diplomatic offensive. The Pentagon says that Russia, one of the main international backers of embattled Syrian President Bashar al-Assad, has been building up its military forces in Syria, setting up a forward operating base near the northern coastal city of Latakia and using an air corridor over Iran and Iraq to fly in military equipment and personnel. Defense officials have compared the operation to the build-up of Russian forces in Crimea prior to the 2014 annexation. Some analysts are suggesting that Putin is attempting to “exchange Donbass for Syria,” allowing the protracted frozen conflict in Eastern Ukraine to fade from public attention while he leaps to the rescue in the Middle East. The state controlled media has been shifting its coverage from Ukraine to Syria and attention on social media seems to be following, reports the Moscow Times. Meanwhile, the New York Times reports today that White House officials are considering whether President Obama should meet with Putin to discuss the Syrian crisis on the sidelines of the U.N. General Assembly in New York later this month. Taking a meeting with Putin would be a shift for the administration, which has been trying to diplomatically and economically isolate Putin over the Russian government’s actions in Ukraine. 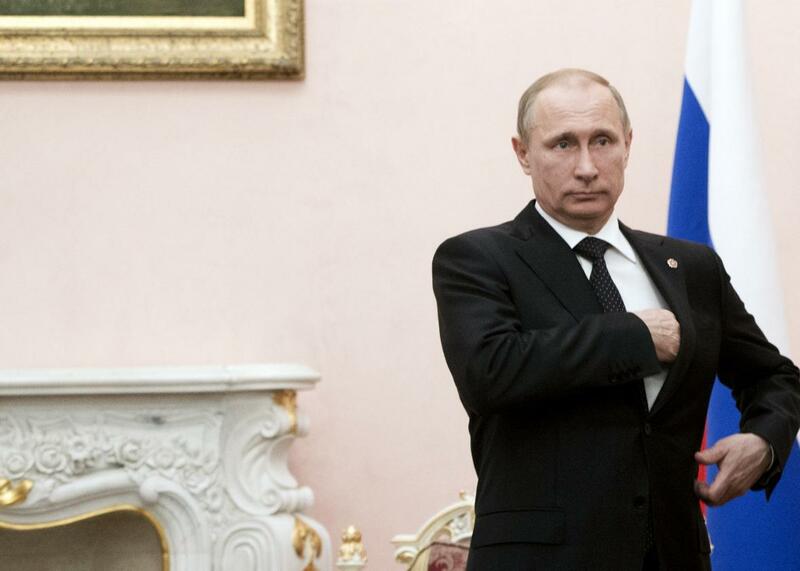 Putin may be hoping he can use Syria to end that isolation. Putin’s pitch is going to be a tough sell for the U.S. government, which blames Assad for the war that has killed more than 220,000 people and displaced millions. There’s also widespread skepticism of Putin’s motives, which may have more to do with expanding Russia’s military presence than ending the deadly conflict. But some in the White House evidently feel that it’s worth at least hearing Putin out. While it’s a little hard to believe such a scheme could actually have come together, one part of Ahtissari’s claim that does ring true is that the western governments dismissed some offer, believing that Assad’s fall at the hands of the opposition was imminent, as was widely assumed by experts around that time. Given what’s happened since then, they might be more receptive to negotiations this time around.